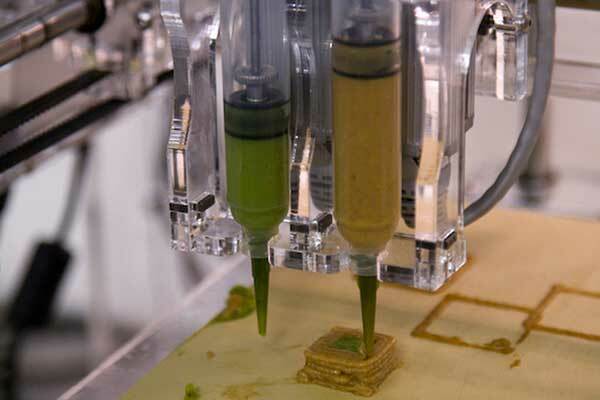 The 3D printing food technique is one of the fun implementations of technology that adds to the diverse capabilities of additive manufacturing. NASA is taking the technology even further by researching the possibilities of 3D printing food in space. The project aims to overcome the problems that face astronauts in facilitating meals and food recipes especially for long missions. The project consists of two phases under the contract of Small Business Innovation Research (SBIR) and was awarded to a “Systems and Materials Research Consultancy” in Austin, Texas. The company is researching the development of a process that provides 3D printing food technique to be used during the different space missions. The project may require several years to go to the testing stage in phase II of the research. The astronauts do not have the option to personalize their recipes or prepare the food themselves, which may have a negative impact on nutrition and food diversity on long missions. On the same context, the company that researched developing 3D printed food in space has also taken the technology further by providing 3D printed pizza for the astronauts in space. The video below shows an example of how a 3D print pizza slice that can be applied in space crafts. NASA has already started research on the usage of 3D printing technology in space and its implications in different parts of the industry. The results are promising and we can expect more development for 3D printing in space over the next few years. The initiations by NASA and other companies indicate the importance of 3D printing technology and how it can be used to solve many of the problems faced by current technologies.